This Saturday I will be giving a presentation about traveling with a sketchbook at Daniel Smith's Bellevue store. I hope you will join me (it's free)! I will be sharing some of my travel sketchbooks, favorite supplies, and tips for creating travel journals. 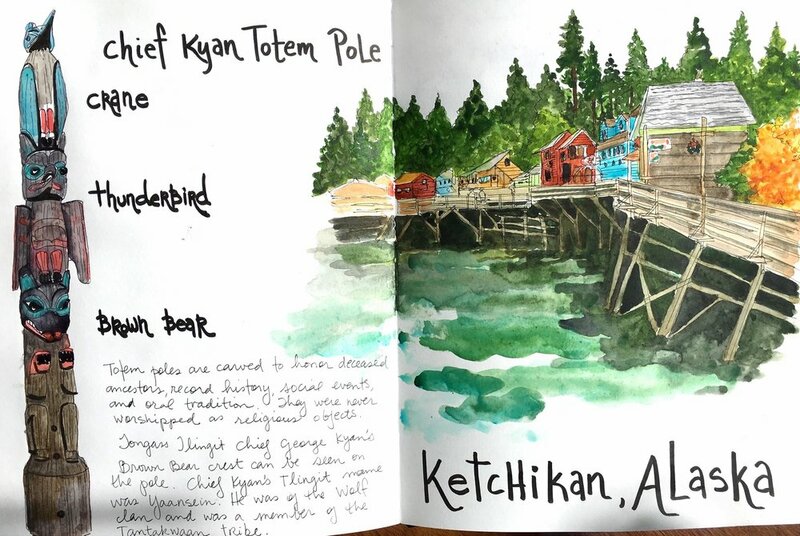 Traveling with a sketchbook is not about doing “good” drawings or paintings. It's about taking visual notes, being in the moment and letting your hand record what you see. Sketching requires trust in one's ability to see, slowing down, and the desire to travel differently. Behind every sketchbook page, there are stories and emotions, and a simple line or color will bring you right back to the moment; you will be able to see, hear, and feel what you experienced on your trips. I am in love with traveling with a sketchbook and take students to Europe and around the US to sketch and travel.